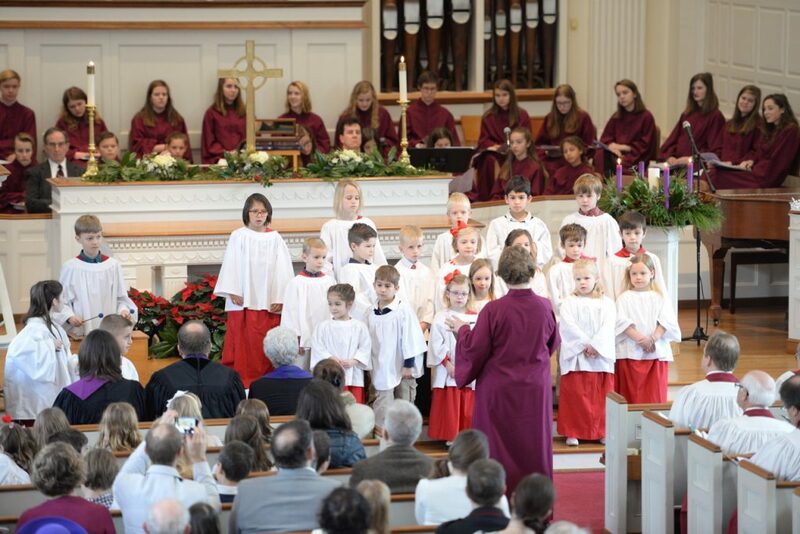 The Children’s Choir (grades K – 2) rehearses on Sunday afternoons from September to May and sings in worship about once a month. 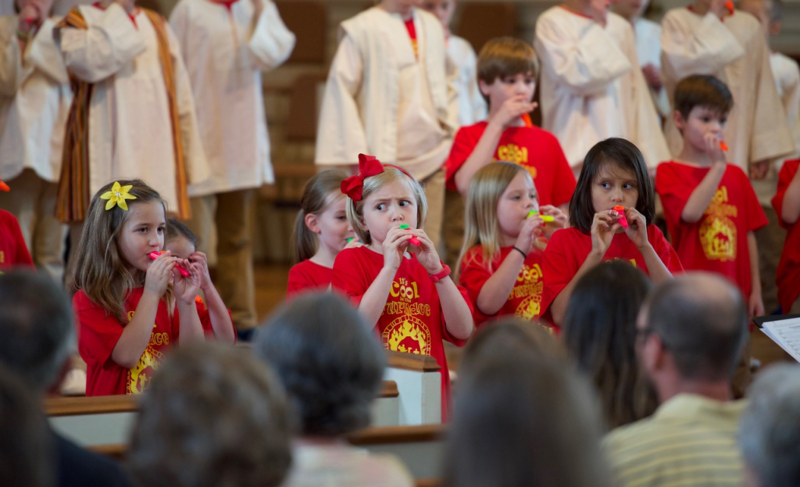 The choir program seeks to enrich, inspire and nurture spiritual and musical growth of children through learning, sharing and offering music to the glory of God, while teaching basic singing and music skills to our young singers. 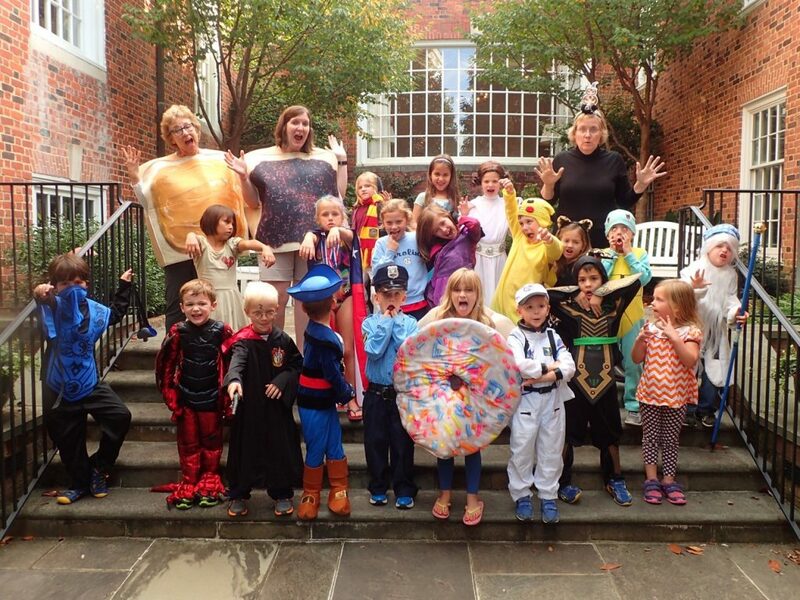 The Children’s Choir goes Christmas Caroling each December, sings in the Lessons and Carols Service, dresses up for a special Halloween rehearsal, and participates in the Junior Choir musical each spring. 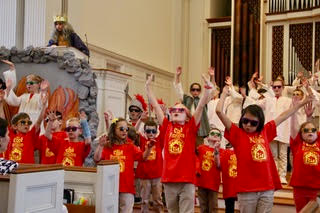 The Children’s Choir is about learning to love to sing with your friends in your church family. Join us!